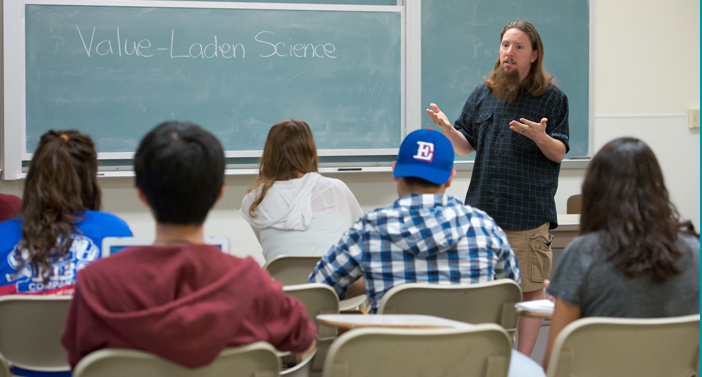 The Barrall Family Philosophy Scholarship, established through the Department of Philosophy's first endowed fund, is awarded to students who have at least junior standing, have declared a philosophy major, and have earned a minimum grade point average of 3.5 in the major and a UC Davis grade-point average of 3.25 or more. Criteria for consideration also include financial need, as determined by the Undergraduate Financial Aid and Scholarships Office, and a history of community service or other activities that demonstrate an ongoing personal interest in bettering society and the world in general. UC Davis alumnus Alan Templeton has established the Templeton Endowment for the Arts and Letters to benefit specific programs in Social Sciences and in Humanities, Arts and Cultural Studies (HArCS), including Philosophy on an annual basis. Templeton attained success as a professional artist, teacher, labor union administrator and private investor. TEAL makes funds available to support research, travel by students and faculty, guest speaker events, performances, repairs and supplies, and more. You can obtain the application form for the Barrall Family Scholarship, TEAL and many other scholarship funds online from the Financial Aid and Scholarships Office. That office administers $6 million in scholarship opportunities for undergraduates, funded from endowments and annual gifts from our generous donors. Undergraduate scholarships are awarded the basis of merit, some supplemented by additional criteria that may also include participation in extracurricular activities; specific college or major; career interests; geographic origin; high school or community college attended; parentage; perseverance; and many other personal characteristics.